Conjure, hoodoo, rootwork�these are all names for southern American folk magic. Conjure first emerged in the days of slavery and plantations and is widely considered among the most potent forms of magic. Its popularity continues to increase, both in the United States and worldwide. This book is a guide to using conjure to achieve love, success, safety, prosperity, and spiritual fulfillment. 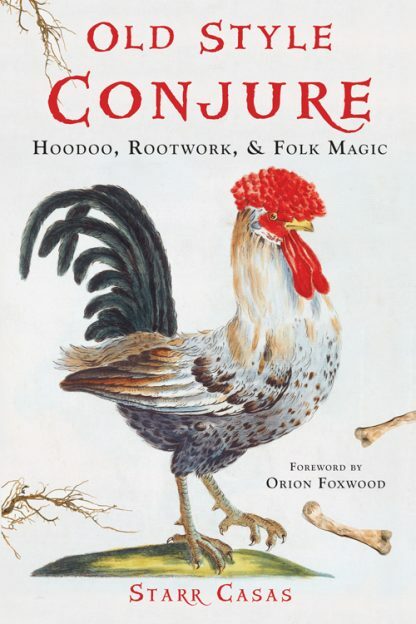 Author Starr Casas, a hereditary master of the art, introduces readers to the history and philosophy of conjure and provides practical information for using it. Featuring Casas's own rituals, spells, and home recipes, the book provides useful information suitable for novices and seasoned practitioners alike. Starr Casas, a veteran rootworker and traditional conjure woman, has been helping people for over 35 years through her ancestral art of old style conjure. She is one of the preeminent modern masters of this southern American style of folk magic, and she maintains an active teaching schedule. Starr is also among the organizers of the annual New Orleans Folk Magic Festival.